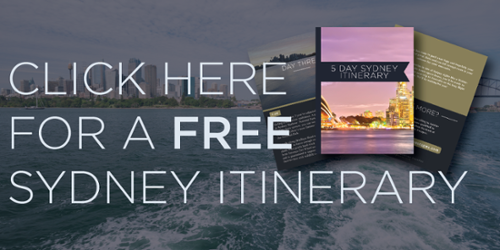 G-day – it’s time to plan your trip down under! As you’re researching your next vacation to Australia, you have a lot of decisions to make as you consider different Australia Vacation Packages. There are a ton of cities you can visit, and each offers you a unique experience. Here’s what you need to answer before choosing an Australia Vacation Package for your trip. What Cities Do You Want to Visit? Most Americans don’t realise that Australia is almost the same size as the United States! Yes, you better believe it. Therefore, you need to pick the cities you want to visit before heading down under. If you want your vacation to be a ripper, your best bet is choosing a limited number of stops on your vacation. Better to have a rich and immersive experience in Adelaide for a week than trying to squeeze Sydney, Perth, and Melbourne into 7 days. If you’re going to the West Coast of Australia, it’s best to focus finding Australia Vacation Packages there instead of trying to make Sydney work as well. Imagine someone visiting the USA for a week and trying to truly experience New York City, Chicago, Miami, and Los Angeles. It would be very hard! Sydney is a great city to visit for it’s museums, architecture, and tourist attractions. As the capitol of down under, you can see many of the picturesque spots like the Sydney Opera House. There are also a lot of fun, off the beaten path spots that you can discover. We discover a few of these fun spots in our free Sydney Travel Itinerary. Make sure you plan enough time to truly enjoy whatever Australia Vacation Packages you’re considering. 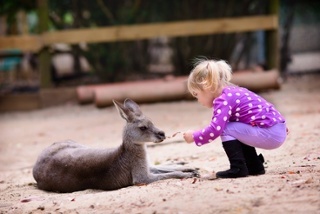 A week is not enough time to truly immerse yourself in the Australian experience! We suggest planning 10-21 day vacations, especially if you’re traveling from as far away as the Eastern United States. You’re looking at upwards of 20 hours of travel time just to get here – it’s worth it to tack on a few extra days to make that plane ride worthwhile. Once you’ve mapped out which cities you’d like to visit, you can then plan how many days you’d like to be in each city. We recommend you spend at least 3-5 days in each city. This allows you to experience the “touristy” attractions that you don’t want to miss while also giving you the opportunity to do some urban exploring within the city center or travel outside of the city for other fun experiences. Many Australian cities have wineries surrounding the city center, and you would be amiss to not take a day trip for wine tasting. It’s truly an unforgettable experience. What Type of Experience Do You Want? This is an important decision to consider when choosing Australian Vacation Packages because each city offers different types of experiences based on your preferences. If you’re a coffee connoisseur, spending time in Melbourne and visit some of the hundreds of popular coffees shops in the city. Want a more “beachy” vacation? Try Perth, where you can lay out on the beautiful beaches after a morning at the wineries. Different people have different preferences when choosing the vision of their Australian vacation. If you’re visiting Australia for the first time, we suggest you focus on experience the culture and sightseeing. 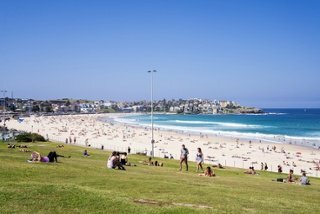 Squeeze in a day trip or two around the city centers to give yourself a break from the hustle and bustle of urban Australia. We love taking visitors our to the rainforests or into the mountains so they can see another side of Australia few get to experience. Here we are, mate. The big question: what’s the budget? For most Americans visiting down under, a reasonable budget for a vacation is $10,000-25,000, excluding airfare. Obviously this number will fluctuate depending on what type of hotels you like, how many cities you visit, and your dining choices. When Americans come to Australia, it’s usually an important trip that has been the result of many months of planning and saving. To take full advantage of the experience, make sure you choose the best Australia Vacation Packages that will make the trip worthwhile!